Some of our customers have been asking us for an easy way to connect phones and fax machines located in other rooms to their Ooma Telo. So we asked, why not connect wirelessly to Ooma Telo? Come on…nothing could be easier than that. And now you can, with the new Ooma Linx. Plug the Ooma Linx into any standard electrical outlet and it wirelessly connects phones, fax machines or other telephony devices around the home to the Ooma Telo using the latest DECT 6.0 technology. 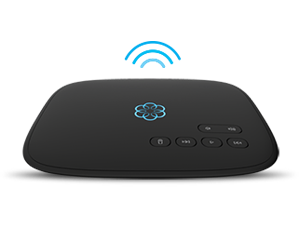 It also gives you the convenience to install your main phone anywhere in the home if the Ooma Telo is installed in a hard to reach place. If you’re an Ooma Premier subscriber, the Ooma Linx provides access to a second phone line without using the Ooma HD2 Handset. Use the Linx and the HD2 handset and the possibilities are nearly endless. The Ooma Linx is available now at https://www.ooma.com and select retailers with an M.S.R.P of $49.99. 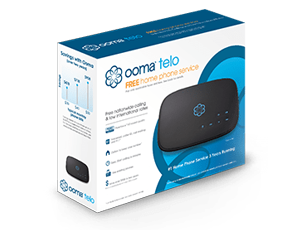 I wonder as an older (pre-telo) ooma owner if this can work for me? If I want this, I have to upgrade to the Telo? and start paying monthy fees? how can I get the functionalilty for my fax machine to run through my (pre-telo) ooma box? Incidently, I love my ooma. I have it mounted in a structured wiring cabinet and have hookupe up a small Panasonic business system. I will keep the ooma forever. Yep, Love Ooma also and run mine through a Panasonic PBX. Since you have a PBX you can just add an extension or if you know how an extra extension on the same line! I doubt the Linx will work with the old box as it does not have DECT in it. I have a Hub myself. The Linx uses DECT, like a cordless phone, and will require the Telo. Since you have a Hub, this is basically a wireless Scout. This will have better sound than the old Scout since it uses DECT 6 rather than the existing phone line, at the cost of being limited to the rated 50 meters/yards range. The Linx will work with a fax machine, while a Scout generally won’t, due to line degradation. Also, they are the same price as the Scout, despite using much better technology – which I attribute to simply being newer, since technology increases while cost reduces. But the new add-on tech requires new(er) base tech. None of the new stuff, not even new software features like Google Voice Extensions, works with the Hub/Scout. While I love Ooma, there should be a disclaimer here that it does not work well (or sometimes at all) with certain fax equipment. See https://www.ooma.com/app/support/faxing-ooma#anchor-4 which says “Note: If you find a need for reliable faxing, we recommend that you keep a Landline for this purpose.” In other words, don’t think about buying Linx for fax until you are completely satisifed with fax performance. I was an early adopter of OOMA and have been mostly pleased with the product and the service until now. I bought the Linx which required an upgrade of the firmware for the TELO. At no place was I told that the firmware update would make my three handsets unusable. I might have chosen to purchase new handsets or I might have chosen not to purchase the Linx had I been informed of the issues in the update. But the result is that I am stuck with three useless handsets. I have the Telo – so the upgrade went fine and I am sure it includes some new features that might make me an even more loyal customer. But this lousy disclosure makes me angry enough to consider switching.